Against Villa, we lacked creativity, with Josh Murphy having to fill the void left by James Maddison and Wes Hoolahan. Against Millwall, Daniel Farke chose to play all three but struggled to find that defensive support to compete against a physical Neil Harris team away from home, with Christoph Zimmermann benched for a game where his build may have suited the game on paper. The statistics of the game wouldn’t surprise anyone – Norwich dominated, though Millwall dominated in successful tackles, clearances, interceptions and tackles attempted. And whilst out of their 11 shots, only five were on target – four resulting in a goal. They made their chances count, however little possession they had. Five games into the season, City fans have seen some unbearable results and performances but it was last Saturday’s defeat against Millwall that was possibly the biggest reality check that something was not falling in place. We knew it wouldn’t be straightforward – we entered the season at the height of uncertainty. A new structure at the club, a new head coach, new background staff, a new squad and a new season. And in reality, we based our optimism on Huddersfield Town’s success last season with David Wagner and there was good reason to do so. Stuart Webber had been the man to hunt Wagner down for the Terrier’s job and most likely saw the same in Farke that he did with Wagner. Both had seen similar success with Borussia Dortmund II. Both liked to see their teams dominate possession in their games and play short passes – it was football that looked pleasing on the eye. Wagner and Farke played completely different formations during their time at the club but both preferred a sole striker up front – Wagner would opt for the 4-2-3-1, whilst Farke chose 4-1-4-1. And whilst both managers have retained their favoured formations for the most part upon their arrival here, it was the winning formation for Wagner last season – though the same could not be said for his first season in charge – whilst Farke’s choice has resulted in questions over City’s ability to keep a clean sheet. Even against Villa, Farke openly mentioned the fact their opponents have one of the best England internationals of the past in their team in John Terry, whilst we had Zimmermann who had played in the fourth tier of German football. Many questioned Farke’s underestimation of the Championship or why he hadn’t gone for experienced heads who had played in the league for years – though the signing of Grant Hanley might have changed that. A change of formation may also be required, especially as we see a team of players adjusting to the Championship and potentially prone to errors. It would be easy to say “copy Wagner” but in reality, there is more to it. City fans know the 4-2-3-1 formation well – it was Alex Neil’s favourite and when you look at the holding midfielders of the past, it’s clear to see why. Although Alex Tettey isn’t going to solve every problem, he will provide the bite and physical toughness needed against teams such as Millwall and others, particularly when playing away from home. With City dominating possession, they need to plan for opponents to attack on the break, through a long ball or even through forcing them into errors. Millwall knew they’d barely see the ball and when they did, they knew they had to make it count, yet it seemed to have been something that surprised City against the Lions, leaving them exposed. 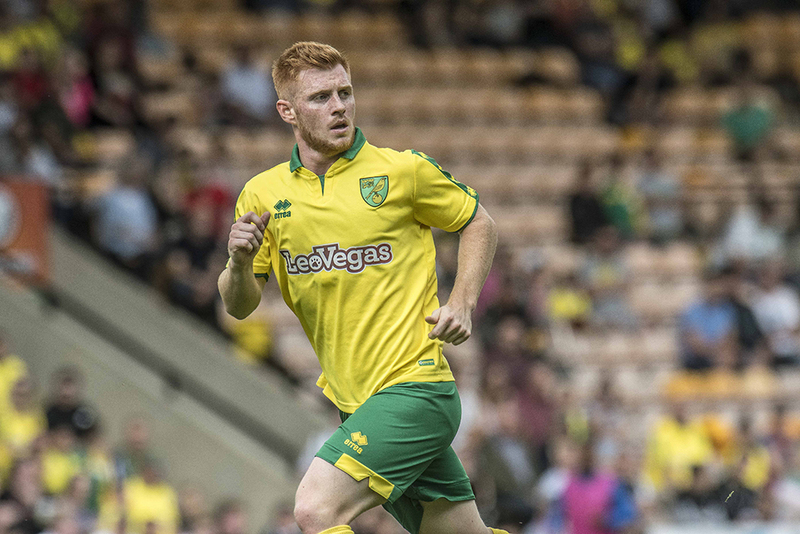 Harrison Reed has already proved what he can do – albeit still a young player plying his trade, he has become the centre-piece of Farke’s team, forming the protection of City’s defence yet also adding the connection to the attacking players. He has a 91% pass success rate – though you’d expect high percentages throughout the team with their short pass style – while he has one of the highest average passes per game rate. He’s not afraid to put his foot into tackles and although he may not be the tallest, most physical player on paper, it’s clear to see why the 22-year-old has been likened to Paul Scholes. Reed has also had to do more covering of players than maybe he would have in the past. With Ivo Pinto and James Husband both being asked to push on, either as wing-backs or traditional full-backs, Reed has had the responsibility of covering them whilst they track back. That may be why someone like Alex Tettey, Marco Stiepermann or Tom Trybull (though our knowledge is limited to the Charlton game) could help if Farke opts for 4-2-3-1. Using an additional defensive midfielder in the team could allow Reed to cover Pinto and Husband but at the same time, wouldn’t see the defensive holding midfielder missing or the central defenders over-exposed on a break. Whilst it’s become obvious City’s defence needs that protection, the Millwall and Villa games saw two complete opposite attacking set-ups, and whilst playing Hoolahan and Maddison together can work wonders in some games – as we saw in the latter stages of last season with Alex Pritchard – it isn’t guaranteed to work week in, week out. Sometimes City are going to need a physical team, with a hint of creativity but not so limited that it’s down to Josh Murphy to do everything that would fit in that category, as we saw against Villa. Other times, they can be let off their leash and run riot, which Alan Irvine worked out during the latter stages of last season. Sometimes we’ll have to play them out wide and although many will look in horror at the thought of Hoolahan being out there, Pritchard and Maddison have both seen success in such positions when played there as it also allows them to cut in. But other times, Farke will have to rest Hoolahan – maybe more often than we’d like. And sometimes Maddison has had to show a defensive side to his play – something maybe you wouldn’t expect from a natural Number 10. Not forgetting his off-the-line clearance against Swindon, Maddison has proven he is unafraid to make tackles and interceptions – sometimes dropping back enough to support Reed. We knew it wouldn’t be easy but we do have options. Plenty of ways to do things differently. Farke has shown he’ll allow his team the time to turn things around but will happily change the game plan or make the necessary substitutions. But, admittedly, he has also got it wrong before the game has even kicked off, as he and his team adjusts to the Championship. Farke will continue to keep working to find that balance to find a resilient yet creative team. He’ll get it wrong, he has got it wrong, but time is hopefully still on his side to get it right. A well balanced article Emma, I’m sure that Farke and his coaching team are learning valuable lessons and will guide the team in the direction we all hope for. The international break will give him a chance to take stock. I believe injuries have taken a toll and hopefully we are now turning the corner on that issue. A Question of Balance a great song by the Moody Blues and on this bright Saturday morning a great read Emma. Full agree with all that you have said above SW has put his faith in a relative unknown German coach just has he did at Huddersfield and we must give it a chance to succeed even if it gives us a few palpitations over the next few weeks. Hanley will I hope prove his worth not only on the pitch but also in training by passing on his knowledge to the other CB at the club and when Raggett joins in January I don’t think they will lose to many battles. Tettey’s out burst about needing to play and his agent saying city have turned down offers will not go down well with SW and co, instead of moaning about his lack of game time and resting in Norway he might have been better at Colney getting his fitness up and showing Farke he is ready for said game time. The big question of balance will be using Wes he must know he will not be going to get a lot of starts but will he accept being a bit part player and possibly coming on as an impact sub especially once Pritchard is fit. Disappointed we didn’t recruit another striker to put pressure on CJ and N-O but can still sign up a free agent someone like Ricki Lambert ‘s ilk just released by Cardiff this would offer a more balanced attack. It’s 4-2-3-1 for me too with Reed and Tettey holding midfielders, I don’t think we can afford to be as open as we have been, Hopefully DF will now address this problem. However, I wouldn’t be surprised if he goes back to the 3-5-2-1 we played at Fulham now we have Hanley, we’ll see.. Finally a decent, well-thought out and balanced article about the new regime at Norwich City. Much unlike the negative tripe peddled by those at PinkUn. Positive change does take time and whilst a couple of poor results and performances isn’t great, piling needless pressure and negativity towards the manager and his players will only be to the detriment of the club. Only wantig to hear the positives…an interestingly modern oddity. Forget the facts and the obvious, its positivity that makes for a good article and an even more worthy fan. Curious. No – I believe DH was only saying it’s a welcome counterbalance to the almost unbroken negativity of other sites. There are many ways of looking at the situation, and of course fans are at liberty to choose whether or not they try to help the team. They’re still fans either way. An excellent and thoughtful article (one of many these past few weeks by some very good writers). Thank you! I’ve no doubt that Farke is a very intelligent, analytical and determined individual who WILL get it right. I’d bet my bottom dollar he’s a quick learner and we’ll see the necessary changes in formation or players, game by game. He also seems to be a very good man manager. Some say it’s a shame he hasn’t got a No 2 alongside him with experience of the Championship, to guide him; but he does have several ‘veterans’ in the squad whose knowledge he can tap. I remain confident we’ve a winner in DF. Time will tell, of course, but I for one believe he should be given a whole season (and more) to get it right. It’s a 46 game season, for heaven’s sake!! When it comes good, I hope the naysayers will be honourable enough to fall on their swords! . The trouble with the doom and gloom merchants that wanted changes and now have them, but as they can’t see immediate progress want to change back to what was. The word patient isn’t in there vocabulary and like a spoilt child want everything now and don’t want to wait to see that progress will happen slow but surely given time to mature. Not true. I was labelled a doom and gloom merchant (aka correct) and I am willing to wrote this season off and see what happens next, but the ‘doom and gloom merchant’s have far more basis to be louder right now. We can’t even compete with soending at this level, which only leads one way unless you have stability. That is something we have very little of right now, so as someone who can see the obvious and is yet willing to let this season slide, I would suggest they are at least 16 points clear at the top of table over the ever regressive ‘happy clappers’ who love to smile in the face of failure and probably give it a little kiss. It only takes a splash of rational thought to see how an outsider (someone who is not blinded by emotion and often spot on) would see our current predicament. He has already made a multitude of strange and glaring (Neil) errors on and off match day, so all we have is hope. Hope that he’s going to learn from his already concerning mistakes, hope he’s going to take a pair of scissors to Martin’s armband, hope the board will do the honourable thing and sell the club to those who can financially compete in today’s championship (let alone the prem), hope Norwich don’t become even more of a shambles and end up the league 1 club we keep diagnosing Ipswich as. That’s a lot of hope, but here’s hoping! Jeff I try and see a little improvement in all that we do and am not blinded as some on both sides by emotions. Farke I hope as you do is a fast learner in an ever changing league, most clubs will see city as a threat this season mainly because we are an unknown quality due to having a wholly unknown coachi g set upas Grayson said prior to the Sunderland game city are a completely new team to the previous season and no one knows how they will preform, That can sometimes work in our favor but as we are seeing sometimes not. Let the season restart and hope for a better start against the brummies and Rednapp.